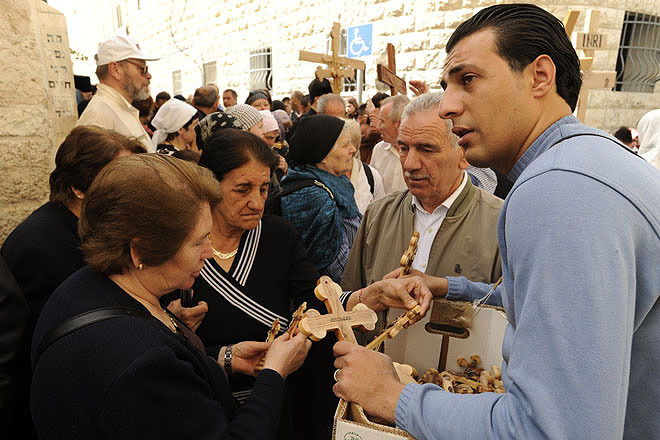 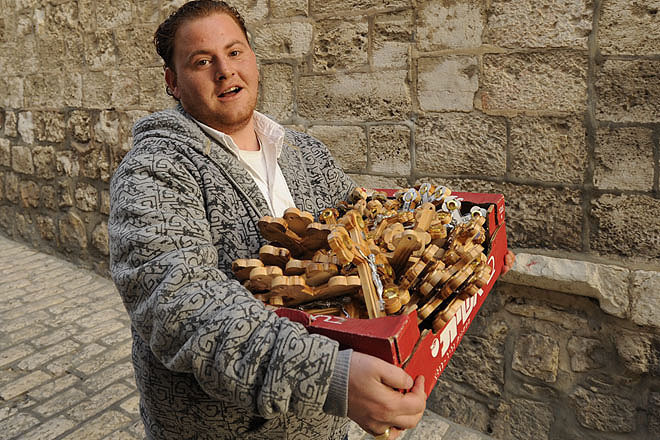 Palestinian selling wooden crosses to pilgrims on Via Dolorosa on Good Friday. 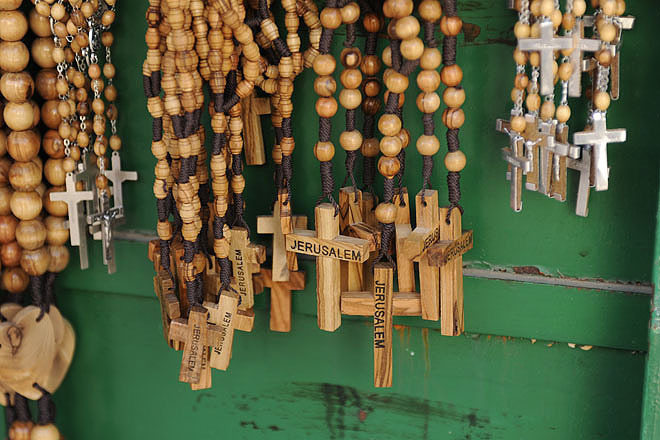 Souvenirs and crosses on sale on Via Dolorosa. 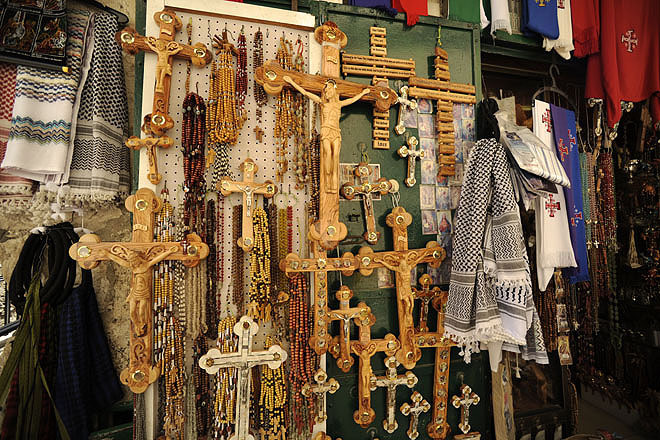 Souvenirs and crosses on sale in the Old City of Jerusalem. 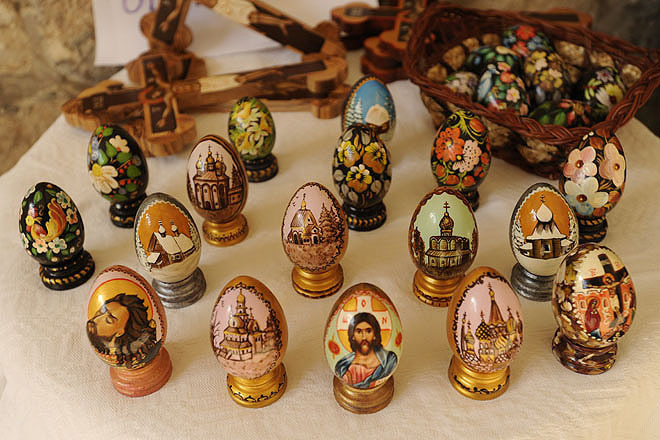 Easter eggs on sale in the Old City of Jerusalem. 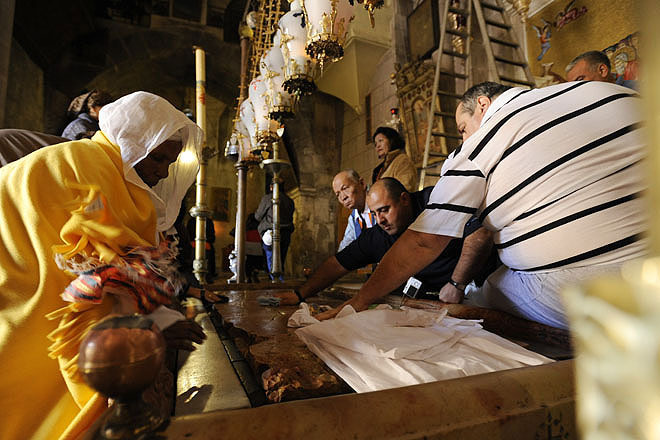 Believers at the Holy Sepulchre in Jerusalem kiss or wipe cloth on the stone where it is believed that Jesus was laid after having been taken from the cross. 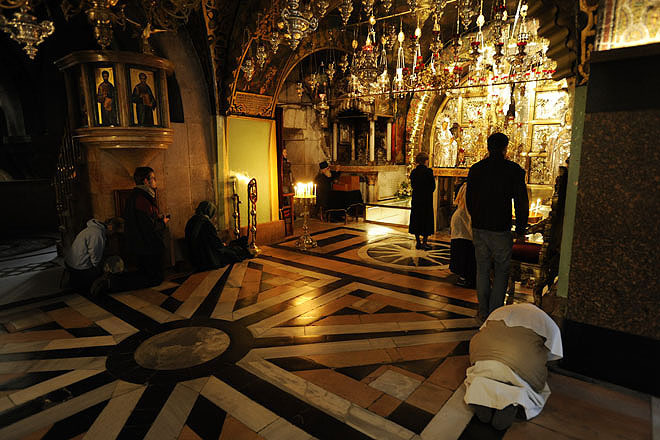 Believers praying at Golgotha at the Holy Sepulchre in Jerusalem. 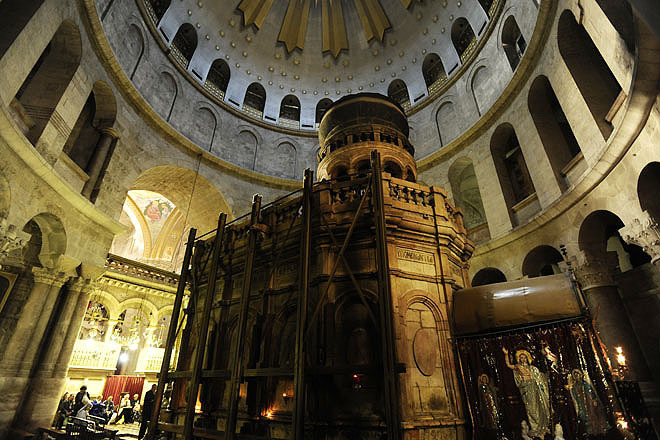 The Rotunda at the Holy Sepulchre in Jerusalem. 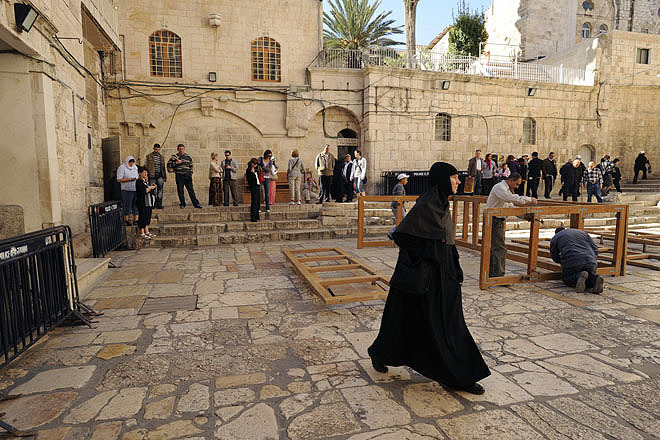 Believers and tourists at the square in front of The Holy Sepulchre in Jerusalem. 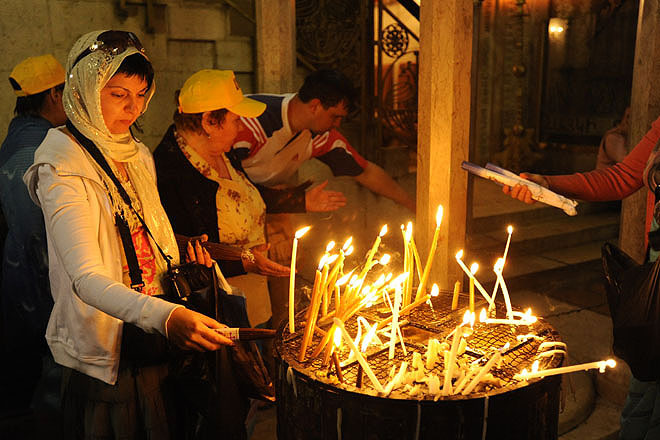 Believers lighting candles at the Holy Sepulchre in Jerusalem. 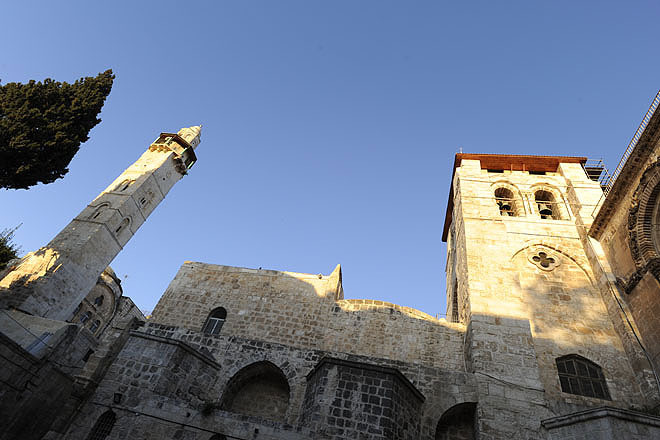 The Holy Sepulchre in Jerusalem. 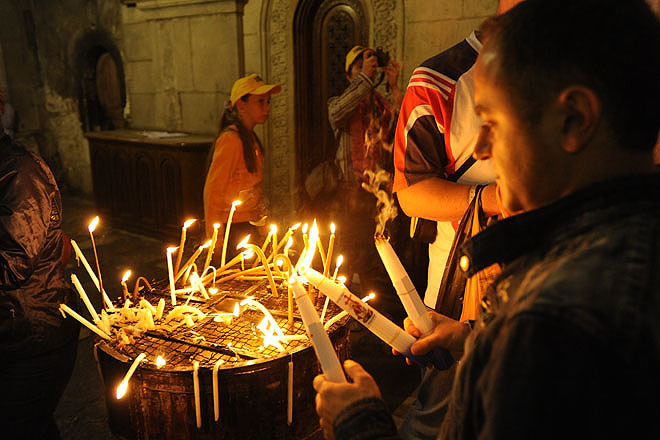 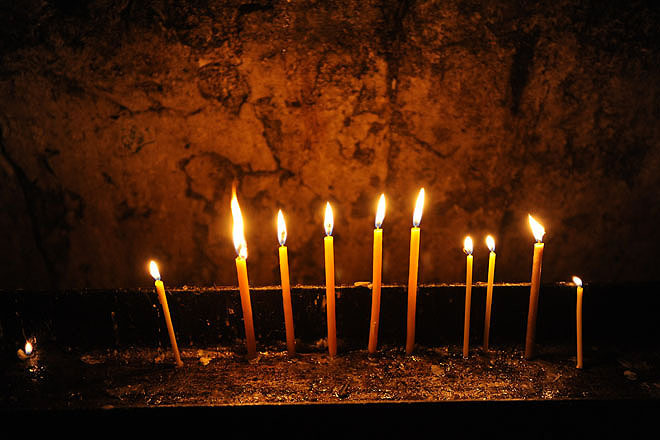 Candles at the Holy Sepulchre in Jerusalem. 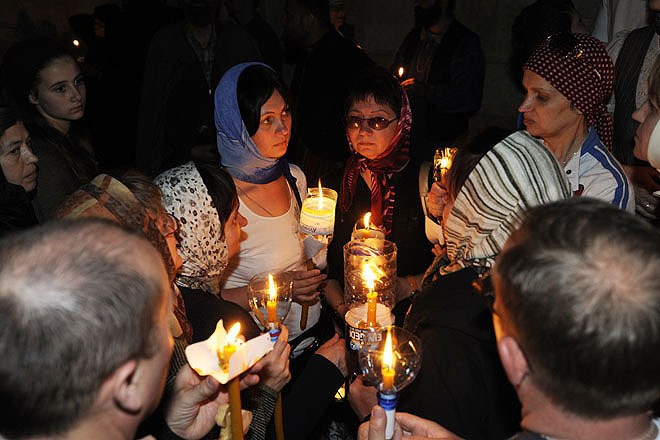 Procession from Gethsemane by Russian Orthodox pilgrims on Maundy Thursday. 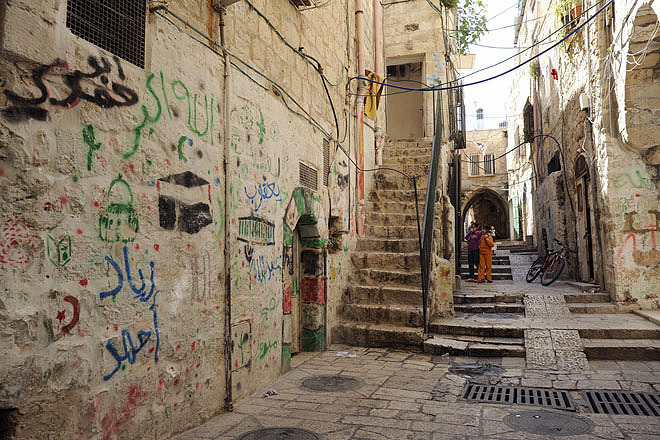 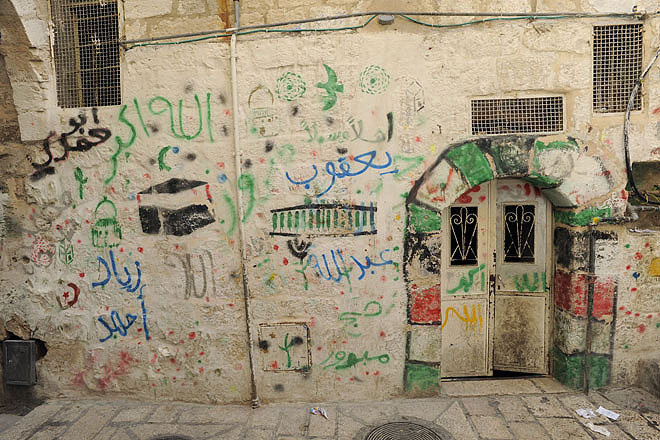 Palestinian quarter in the Old City of Jerusalem. 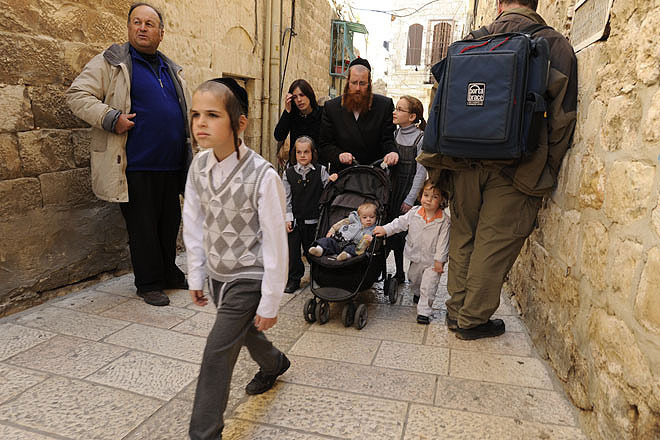 Jewish family on the way to the Wailing Wall in the Old City of Jerusalem. 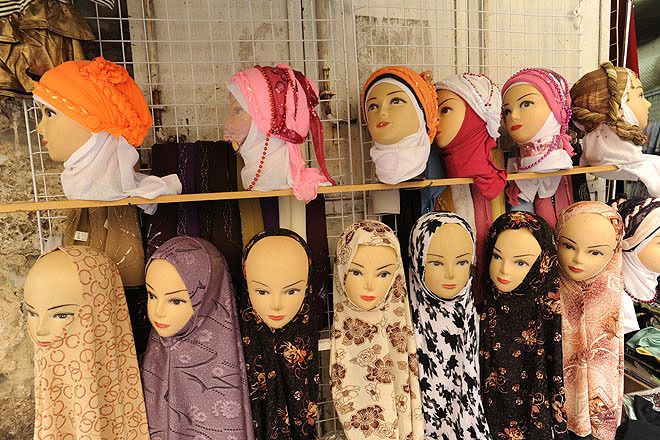 Scarves on sale in the Old City. 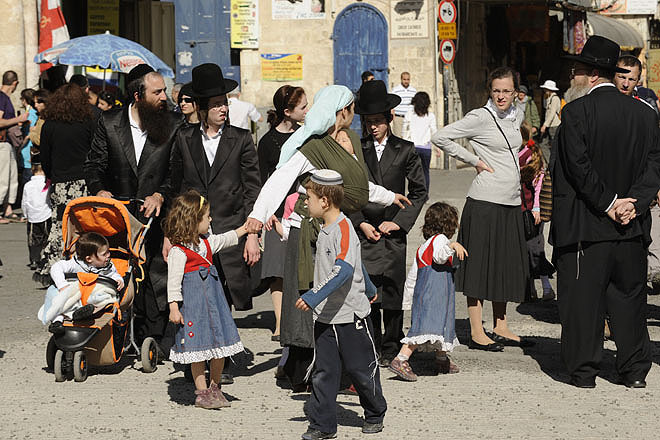 Jewish families near Jaffa Gate.